The property has 2 double bedrooms with wardrobes and bedroom 1 has chest of drawers and desk/chair. The bathroom has a power shower and toiletries are provided. The living area has 2 leather sofas, table and 4 chairs and television. The kitchen is fully equipped and has oven/hob, microwave, fridge/freezer and washing machine. 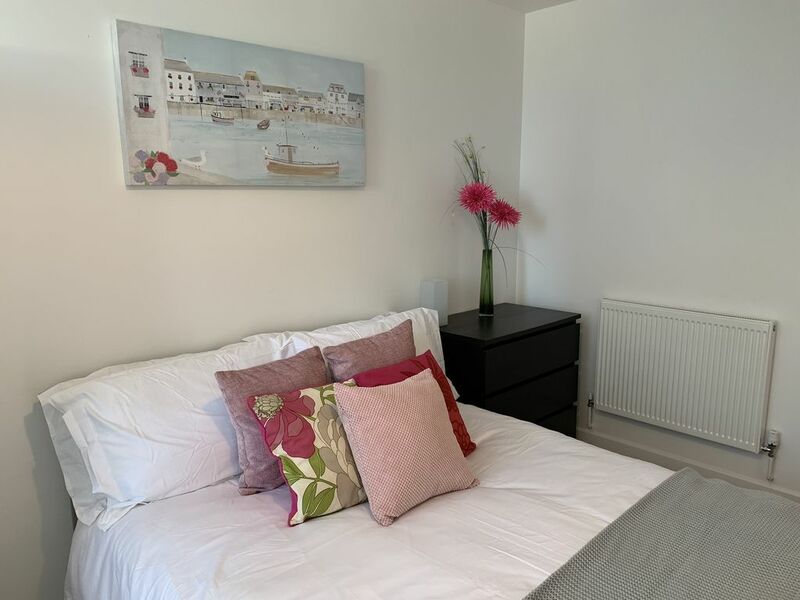 The apartment is situated next to Portsmouth & Southsea train station and is minutes from Tesco Express and the main shopping area of Portsmouth. Gunwharf Quays is a 10 minute walk away. The beach and Old Portsmouth are a 25 minute walk or there are frequent buses that will take you around the local area.